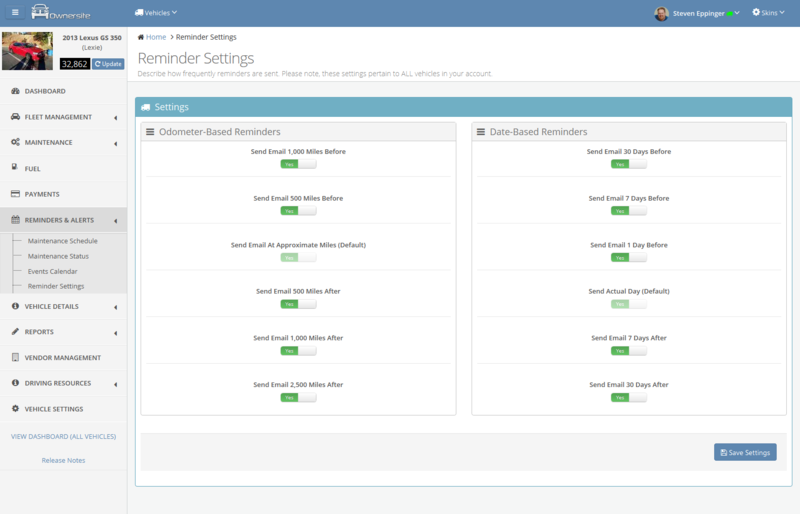 The Ownersite Reminders & Alerts Module makes sure you never forget to service your personal or fleet vehicle again. 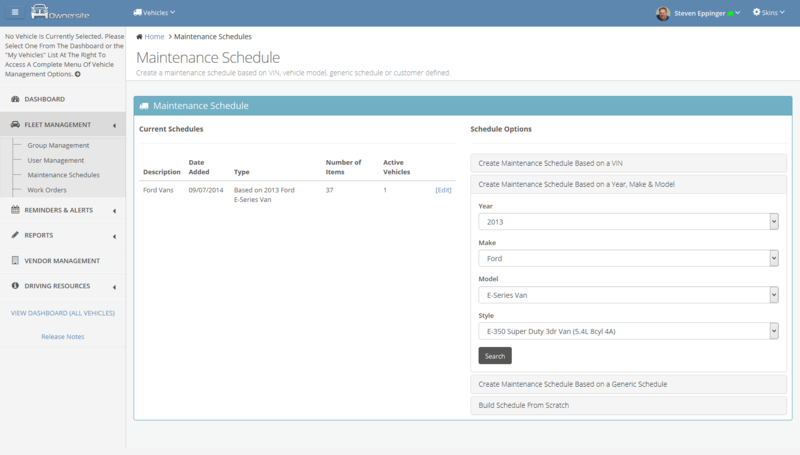 Our powerful reminder system lets you create an odometer-based or date-based maintenance schedule based around manufacturer recommended service intervals, from a choice of more than 70 pre-defined routine service items or from your own custom-defined service items. 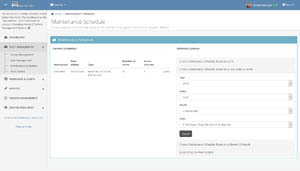 Ownersite can alert you on-screen or by email, with simple lists or displayed on a calendar. 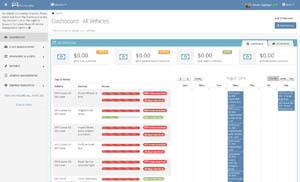 We can even alert you of non-service related items, like warranty expirations, registration expirations, license expirations, recalls and much more. 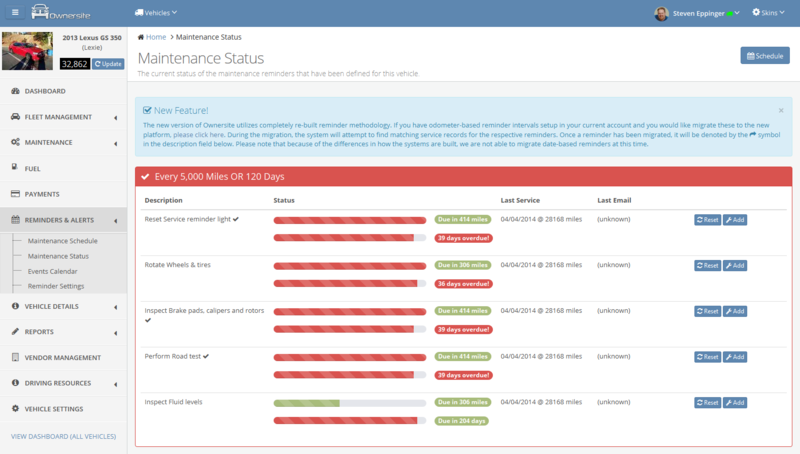 Because routine maintenance is so important to the safety, reliability and value of your vehicles, service information is presented to you in a convenient "dashboard" immediately accessible when you login to your account. For our fleet customers, Ownersite can also integrate with GPS tracking providers, ensuring that your reminders are always as accurate as they can be. For more information about integrating with your GPS tracking provider, please contact us. 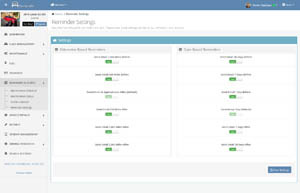 PM Schedules can be created by VIN or year/make/model with manufacturer recommended service intervals or custom-defined. 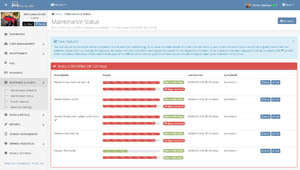 Review preventive maintenance status, sorted by when services are due or overdue. Define when you want to receive maintenance reminders. 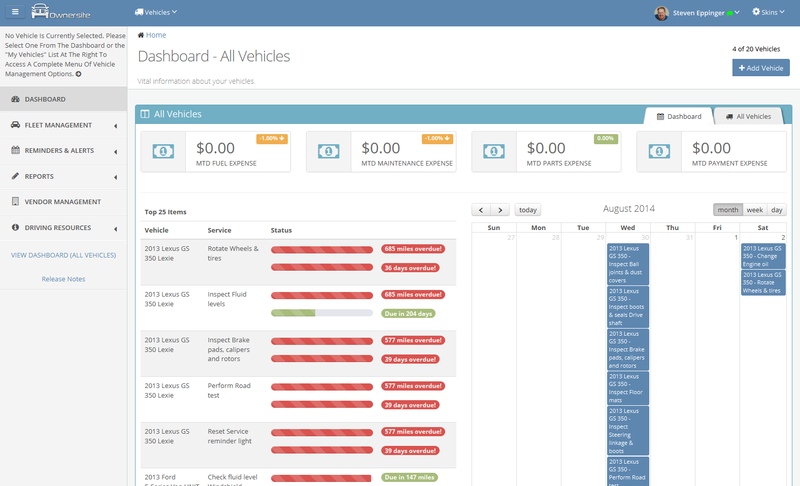 Review all of your vehicle's pending service from the convenient dashboard.